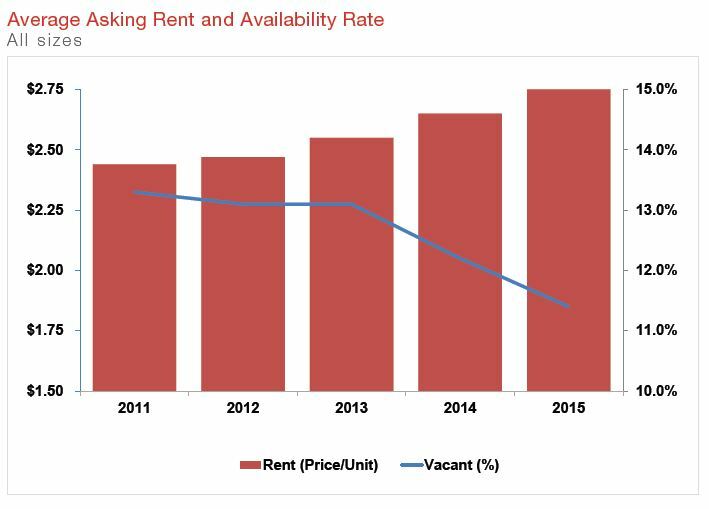 by Korean Airlines Co Ltd.
• Average asking rents increased 4.9% from 2014 and 9% over 2013. • Vacancy has declined 80 basis points from 2014 and 170 basis points from 2013.
with the judges of the U.S. District Court, the building will be used by the U.S. Marshals Service, U.S. attorneys’ office and the Federal Public Defender. 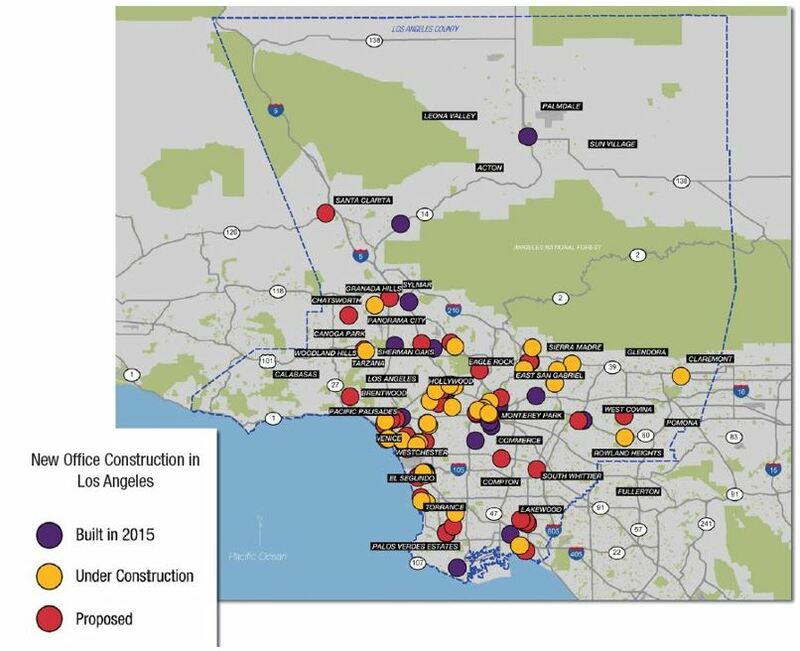 • ICON is a 323,273 SF Class A office Building under construction at 5808 W. Sunset Blvd. in Hollywood. Preleased to Netflix. Completion date 12/2016. • The Brickyard is an office campus comprised of two 100,000 and 300,000 SF office buildings. Located in West Los Angeles, Playa Vista, the expected delivery date is 4Q 2016. 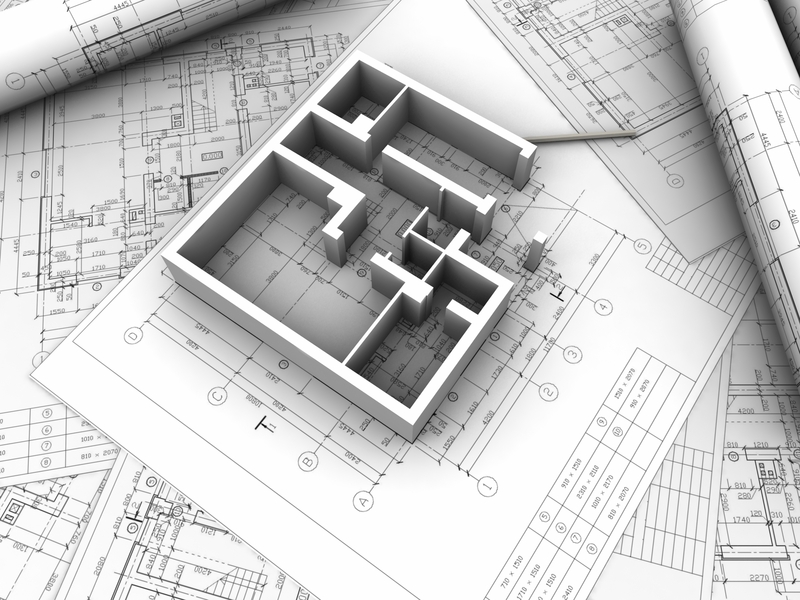 Developed by owner Tishman Speyer. • Vine Street Tower is currently under construction containing 8 floors totaling 112,548 SF of Class A office space and 2,012 square feet of prime ground floor retail space. The building is registered with the U.S. Green Building Council for LEED Gold status. Completion date 3/2017. by developer Tishman Speyer. 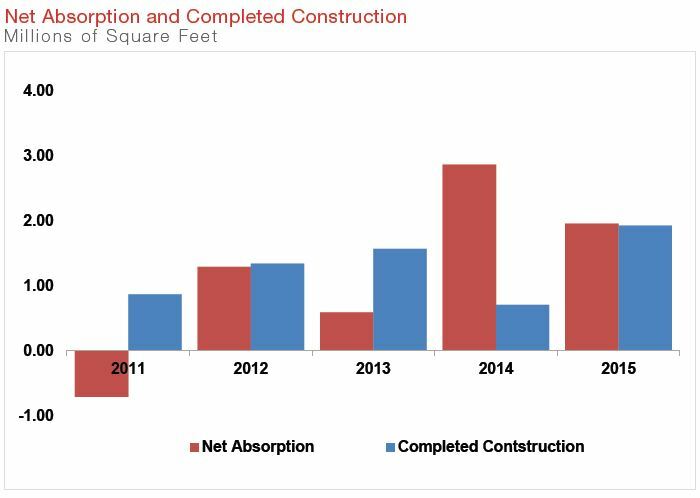 The campus will have 293,000 SF of Class A office space available in December 2016.